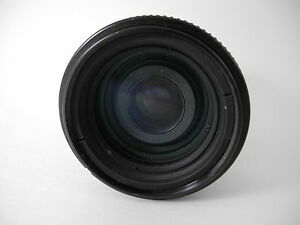 Vivitar 62mm Camera Multicoated UV Protective Filter - USA Warranty! The Nikon NIKKOR 70-210mm f/4 AF Lens is an exceptional lens from Nikon, and it provides top notch focusing at all zoom levels for professional and hobbyist photographers alike. From its lightweight and portable design to its high quality and sturdy construction, this is a camera accessory designed for quality photography and stunningly beautiful pictures or video.The Nikon lens is an internal marvel of glass and metal manufacturing, with twelve focus elements clustered in nine groups to allow for crisp, rapid focusing. The barrel is metal, with carefully aligned screws instead of plastic components, which adds strength and resilience to the design. These zoom lenses use a push-pull action for zooming and a large grippable surface with a rubber sheath for easy handling under any conditions.With an aperture of f/4-5, it is designed for a wide variety of lighting conditions. Even at long ranges, the aperture remains at f/4, letting in enough light to give you high contrast, dynamic photographs. It can also take a screw-in metal hood for shielding from intense sunlight to ensure this Nikon f/4 lens camera gets great shots in all lighting conditions.The Nikon NIKKOR 70-210mm is compact for its impressive amount of utility, making it easy to transport in an already packed bag of lenses or airline carry on. With a diameter of 74mm (2.9"), it is 154mm long when fully extended to the 210mm zoom level, and at the shortest 70mm zoom setting it is 109mm long. The whole lens weighs only 590 grams (21 ounces), which makes it easy to carry around all day attached to your favorite DSLR. 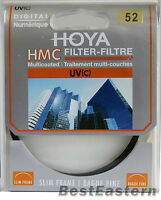 Designed to take 62mm filters, the glass is aligned in such a way as to allow stacking of filters to get the visual effect you desire.Like other quality Nikon lenses, the lens is very sharp under all weather conditions, both indoors and outdoors. The crisp focusing of this zoom lens means you can get the shot you are aiming for every time, whether at full extension or when taking close-up pictures. Bokeh is solid at both its short range 70mm zoom level and its longer range 210mm full extension. One of the most popular features of this Nikon NIKKOR lens is its rapid autofocus, a telephoto feature fast enough to capture sports or nature action. This rapid autofocus capability is due to the design of the AF screw. When you want to have close control, the manual focus works wonders. This lens is a great multitasker for your photography kit.Whether you are interested in shooting video or the perfect photo in good or low light conditions, the Nikon NIKKOR f/4 lens is a great option. The low weight makes these lenses easy to carry, and the standardized screw mounts make it easy to combine with other filters and hoods to build your ideal rig. The lens I received was in pristine condition.. I used it on my Nikon d810.. as you might expect, the focus speed is not fast but not bad either. The images are good but not as sharp as you would get from a 70-200 vrii (I used the 70-200 vrii for almost a month). But for the price, this is a very good backup to have in your bag. Try to use it during sunny days and with a faster shutter speed..
overall not A bad lens. A little weighty but is a 210. This lens is a pretty nice lens. I am not a photographer, but I was able to get some good shots almost immediately. It arrived rather quickly and I would purchase a lens from this seller again. The Nikon 70-210 f4-5.6 AF Zoom lens is a very nice zoom lens! Compared to many other lenses of this type, this one is fairly lightweight, very sharp, good AF response time, fairly compact. AND a Great Value for the money! Outdoors in sunlight, 99% of the time you can't tell the difference between photos shot with this lens and the Big Expensive F2.8 lenses that weigh ten pounds. I HIGHLY recommend this lens. -By a Pro Photographer for 25years. Nikon quality is known throughout the world. I can't conceive the notion that this reputable name could ever make one bad piece of photo equipment.